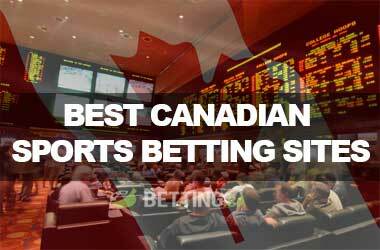 This page presents Canadian bettors a list of top 10 safe and legal betting sites. These sites maintain the best industry standards and are capable of delivering the ultimate online sports betting experience. Each site is Canada friendly and allows players to deposit in Canadian Dollars, thus saving them a fortune in foreign currency conversion fees. They offer a wide range of banking options and pay out winnings really fast. They also offer several betting opportunities, the best odds, the most generous welcome bonuses and free bets, and the most lucrative promotions. 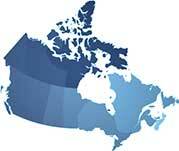 Is it legal for Canadians to bet at online betting sites licensed abroad? Can I make deposits and receive my winnings in Canadian dollars? What payment methods can I use to fund my online betting account? Do I need to pay tax on my winnings? How long does it take before I can withdraw my winnings? Will I need to verify my identity before I am allowed to make a withdrawal? Am I only allowed to bet on Canadian sports? Can I place more than one selection on a single bet slip? Can I selections from different sports on the same bet slip? Can I bet on my smartphone or tablet? Yes, it is legal to place bets on sports events online simply because Canada’s Criminal Code does not specifically state that it is illegal to bet online. However, it is definitely illegal for operators to run online or offline sports betting services in Canada. Simultaneously, the Kahnawake Gambling Commission near Montreal grants licenses to offshore online sportsbooks. Although some people feel that Canada is a grey jurisdiction, it is worth noting that a few online sportsbooks advertise their services in Canada and the country is home to several professional sports bettors who have never gotten into trouble with the law. In fact, the government of Canada has not prosecuted any resident for placing sports bets online. If you have doubts, you can always consult a gambling lawyer before creating an account at one of our top ten sites. To get started, create an account at any of our top ten sites and deposit in CADs. In this section of the Betting.ca website we are going to concentrate our attention to introducing to you our range of the top ten betting sites, all of the listed sites below meet our rigid high standards and as such we can confidently showcase then to you. Each betting site will of course welcome you as a new customer should you be a resident of Canada and each of them will save you a small fortune in currency conversion fees as they all offer you the seamless ability to deposit in CAD. As part of our approval and rating system we check various parts of each betting sites operation and as such they must all offer customers plenty of depositing options which also giving their customers access to plenty of withdrawal options via their respective banking interfaces, and when it comes to cashing out then all of them have proven time and time again that they pay their winners in a timely fashion. Any online gambler who is wagering on sporting events and sporting fixtures is going to not only want a massive array of different wagering opportunities when they log onto any online sports betting site, but they will also be demanding the best odds in the industry, and once again the following betting sites have all made the grade and offer up to the minute odds which are the best you will find anywhere. Not only are new player bonuses and free bets on offer at all of our top ten betting sites but you are also going to find regularly ongoing promotions offered at each and every one of them, so you will also be assured of getting the maximum value out of your sports betting budgets. 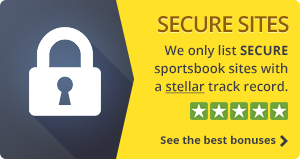 Feel free to checkout any of the listed sports betting sites as they are all at the top of their game. Betting is quite popular in Canada, especially online betting and there is a range of respectable betting operators that offer their services to Canadian bettors. There are a lot of people who otherwise follow sports, but are new to betting and, certainly, there are a lot of questions that they would like to find the answers to. These are some of questions that are commonly asked by Canadian bettors. It is not illegal for Canadians to bet at international betting sites. That is also evident from the fact that numerous sports betting operators allow Canadian residents to register, log in and make deposits without any problems. Yes, most of the betting websites that accept Canadian players, also accept Canadian dollars, so you won’t have to pay any conversion fees. If you want to make a deposit in Canadian dollars, you’ll just need to register an account, choose your preferred payment method and then select the amount that you would like to deposit. You’ll see that the amount will be shown in Canadian dollars and the sum that you deposit will match the sum that was withdrawn from your account, as there are no conversion fees. Provided that the operator doesn’t charge any deposit fees, which in most case they don’t. For withdrawals it is the same. You only need to select the amount you wish to deposit, and provided that you have enough available funds, you’ll be able to withdraw them in Canadian dollars. Practically all operators that offer sports betting services to Canadians accept major credit card issued by Canadian banks. Moreover, major internationally used e-Wallets like Skrill at Neteller are also accepted, as well as specific Canadian payment methods like InstaDebit. According to Canadian laws, a person who won a game of chance or the lottery, isn’t supposed to pay income tax on the prize, so the same applies to sports betting. However, if the tax authorities determine that most of your income comes from sports betting, your winnings might be taxed. If you’re betting casually and you can prove that you have another primary income, then you have nothing to worry about. Proving that sports betting isn’t your main source of income would be fairly easy, even if you wager somewhat larger amounts. That depends on what payment method and what operator you have chosen. Typically, if you’re withdrawing using an e-Wallet, it shouldn’t take more than a day, whereas credit card withdrawals may take a few days, but usually not more than 5. If you withdraw using wire transfer, you might have to wait a bit longer. Yes, for legal and security reasons, the operator will require you to submit a proof of identity, which may include a copy of a photo ID document, a utility bill or another document that can prove that you live on the address which you claim and a copy of your credit/debit card, if you’re using a credit card as a payment method. This requirement actually protects the players and everyone, because it makes it impossible for anyone to register an account in another person’s name. Online betting operators offer betting on North American sports, but you are not limited in any way, you can also bet on soccer, on certain non-sporting events and minor sports that aren’t very popular. You will find that most operators accept wagers on volleyball, netball, pesapallo and many more. In addition, you can also bet on political events like general elections in certain countries, as well as popular TV events like the Oscars. Yes, you can place a bet on two or more selections. The maximum number of selections may vary. A bet with more selections can be either a parlay (accumulator) where all selections have to win, or a combination, where there are multiple options for winning, but lower prizes. Yes, you can combine different sports and different competitions on the same bet slip. For example, you can choose one selection from an NHL game, another from NBA and a third from a European soccer game. It should be noted that, with some operators, the maximum amount that you can win with one bet depends on the sports which are featured on the bet slip. Most European sportsbooks offer significantly higher maximum winnings for bets on the most popular soccer leagues like the English Premier League. Yes, most operators offer either special mobile (usually iOS and Android) apps that can be downloaded, or alternatively, you can open the website in your mobile browser and log in, just like you would on your desktop computer.